Venus in Cancer, Neptune in Pisces, and Jupiter retrograde in Scorpio are forming a grand trine in water. The planets will not each be at the same exact degree at the same time, but they have come together and are a grand trine right now. On May 25, Neptune made an exact trine to Jupiter retrograde. On June 1, Venus will make an exact trine to Jupiter retrograde. 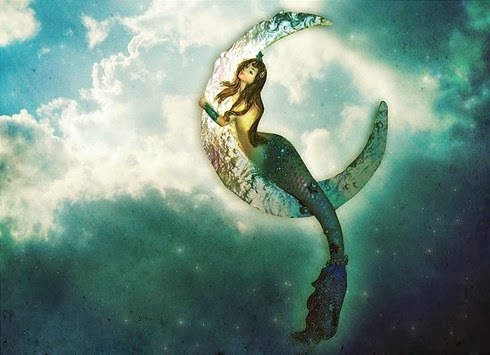 On June 2, Venus will make an exact trine to Neptune. Do you happen to know what a trine is? If you don’t, I’ll tell you – it’s when two planets are 120 degrees apart. In astrology its often known as a positive aspect, but in fact, there really are no positive or negative aspects. A trine is a free-flowing of information or messages or qualities that one planet has to give to the other planet and vise-versa. When you have three planets making 120 angels to each other then you have what is called a grand trine or an equilateral triangle. Remember this is from our viewpoint on earth. From our viewpoint, Neptune looks like is it traveling in Pisces, Venus in Cancer, and Jupiter is appearing to move backwards in what we call a retrograde, even though it isn’t, in the Scorpio constellation. The planets look like they are exactly 120 degrees apart from earth. Again, I want to underscore that this means that these planets are in harmony with each other, and sometimes their message can be delivered easily, but be a “negative” message, or sometimes their message can be delivered easily, but be a “positive” message. One big example of this is 9/11. There are two very powerful grand trines in the 9/11 chart with planets in air signs. So, you can see the message was delivered quickly. The thing about grand trines is that all the three planets involved should be in the same element, water, fire, earth, or air. Now if you have a grand trine, let’s say at 29+ degrees, and one of the planets has just moved into the next sign and is at 0+ degrees then still have a grand trine, but it is called an out-of-sign grand trine. Make sure to say that so the person you are talking to knows it contains another element. Do you have a grand trine in your chart? I ask this because sometimes if you have a grand trine but it doesn’t extend beyond itself to form a kite then you should study it more carefully because this configuration means that sometimes the energy, messages, planetary qualities, go around and around the equilateral triangle and don’t have a way to escape. Some astrologers have said the grand trine on its own can show laziness in a chart because of that. Messages and qualities come to a person easily but they don’t necessarily take the steps to use the talent or strength of the grand trine to their and society’s advantage. These are the people who are gifted but either don’t want to share their gifts, they take their gifts for granted, or just assume everyone can do it that easily. They are trying to be obtuse, rather they just don’t have the push that comes from a grand trine has an opposition which causes action because of the strive. Can you visualize a grand trine and a kite pattern? If not, may you can Google them with the word, “astrology” after them. Just because I’ve talked about trines and grand trines in a way to show that they aren’t always positive, I still want to underscore that sometimes they can be. There is this harmony between planets and when the message is something you want to hear, or something that you can do, then you are happy to have it. Well, right now, from our perspective on earth, there is a grand trine in the heavens in the three water signs, Scorpio, Pisces, and Cancer, and in fact, it is making a kite pattern also because there is an opposition from Venus in Cancer to Pluto in Capricorn. A baby born during these days is going to be an emotional powerhouse. I guess this begs the question what will happen to you during this grand trine. I hope this grand trine means that you easily receive some messages or that something happens that is positive. If it isn’t, then remember that you still need it anyway for your evolution. Water signs are emotional and see beauty through emotions so now is a good time to express love to yourself. If you were in front of you how would you express your emotions to yourself? Would you have a lot of love for that person in front of you? Would you show kindness and pride? Learn more about your astrological chart by booking a reading! ⟵Rebel and be yourself! Uranus conjunct Mercury in Aries Square Mars.